A delicious Irish whiskey from this ubiquitous brand. This is a small batch bottling, produced with a higher than average proportion of single pot still Irish whiskey, alongside small batch grain whiskey. 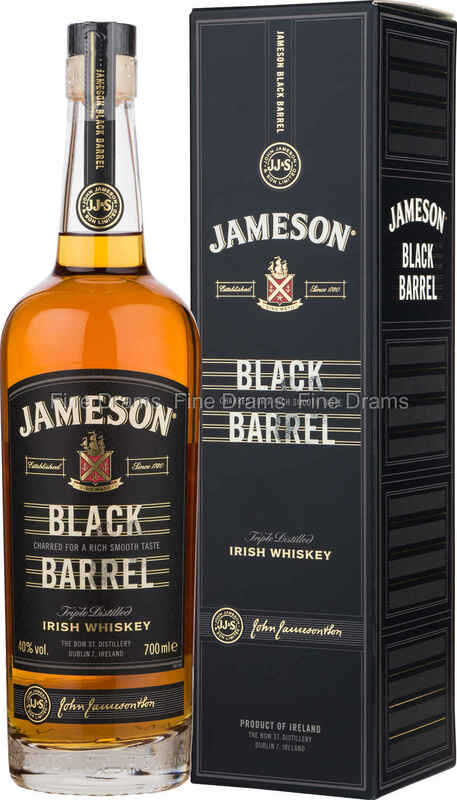 The whiskey is then aged in what Jameson have called Black Barrels. These are first fill bourbon barrels that have been charred not once, but twice. The result is a cereal-led whiskey with a wonderfully full body and rich tropical fruit flavours, accompanied by a delicate wisp of woodsmoke. A first class Irish whiskey that fans of Jameson have to try.